“This is about people, that’s why I keep saying this isn’t about gas,” says the mayor of Lawrence, Dan Rivera. LAWRENCE — He doesn’t have gas, either. And he takes cold showers. 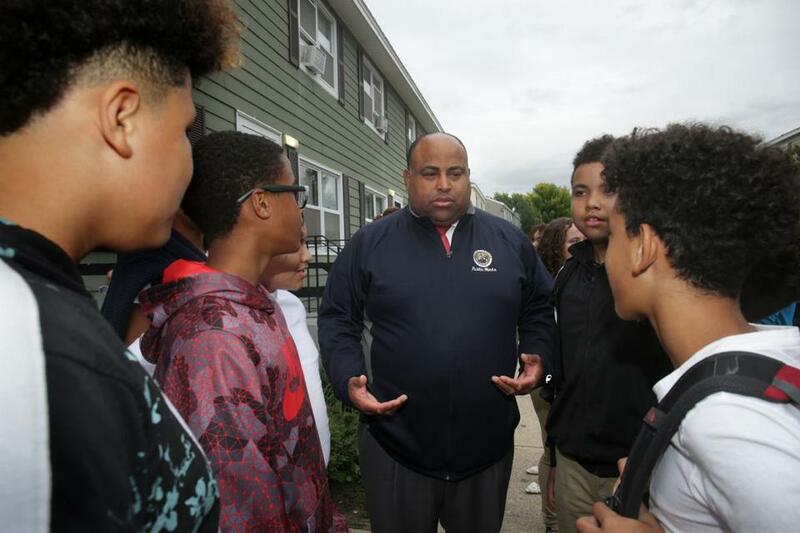 But over the past week, Mayor Dan Rivera has labored his way to press events and meetings with Governor Charlie Baker, to neighborhood barbecues and high school football games. The day after gas fires and explosions rocked Greater Lawrence on Sept. 13, he stood in front of news cameras excoriating Columbia Gas of Massachusetts executives for “hiding from the problem” and failing to adequately respond to the crisis. The next night, he slept in a shelter, one of thousands of residents evacuated from their homes who needed a place to stay. His wife and two young children went to stay with family in Dedham, but he couldn’t leave his city. “There was no plan for this, there was no plan for all these things happening at the same time,” he told the City Council, days later, in a briefing about the catastrophe. As Greater Lawrence struggles to recover from the explosions, which killed a teenager and left about two dozen people injured, and as 8,600 gas customers remain without service, Rivera has emerged as a central figure in the thick of chaos, both a resident who is suffering the effects of the disaster and a leader in the response. He has the challenge of explaining to other public officials the dynamics of Lawrence, one of the poorest municipalities in the state, with close to 80,000 residents. 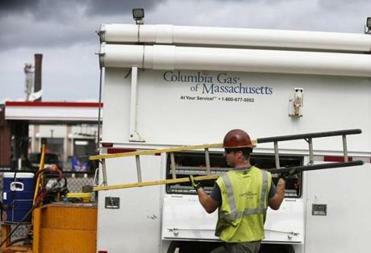 Two-thirds of those affected by the gas outage live in Lawrence. Most are Latino, and many speak only Spanish. Investigators have focused on a construction project in South Lawrence as a possible source of mishaps that led to the explosions. It is also home to dense housing stock, including many multi-unit dwellings. That is why Rivera ordered an immediate evacuation after the first blasts were reported. “We have people . . . that can’t afford to be out of their house one night, or can’t afford to lose the contents of their refrigerator. Those are the people we need to get help to,” he said later in an interview. The work has meant having National Guard soldiers go door-to-door to hand out electric hot plates to residents in South Lawrence over the weekend. They plan to hand out space heaters Monday. At the same time, he has sought to explain to city residents that officials have taken different actions in wealthier Andover and North Andover for reasons that have nothing to do with race or ethnicity, saying each community has its own specific needs. Lawrence’s high population density, for example, weighed upon his decision to evacuate, when the other municipalities were not under such an order. He has translated news conferences into Spanish. And after they are over, he has waited around to give interviews to Spanish-language radio stations. Rivera handled the coin toss at the Lawrence-Andover high school football game Friday. At 47 years old, he is a bear of a man who considers himself a product of the city. Born to a single mother who had moved here from the Dominican Republic, he was one of four children. He attended Lawrence’s schools and delivered the local newspaper. He served with the Army in Kuwait and Iraq. He obtained a master’s degree from Suffolk University and worked in marketing before running for public office as a city councilor, inspired in part by his work for former US representative Marty Meehan and by his work managing the city housing authority. He and his wife, Paula King Rivera, have two children, ages 3 and 8 months. In an interview Friday after he and Baker announced the state’s plan to confront the crisis, Rivera said his response to the explosions is as much a part of his public service as making sure Fourth of July fireworks go on as planned. North Andover town manager Andrew Maylor said Rivera helped build an inter-community partnership when he was first elected mayor four years ago. “From the day he was elected, he reached out to this community. To me, that’s what a partnership is all about,” said Maylor, who tweeted a picture of Rivera talking to local officials at the claims center in North Andover when it opened Wednesday. 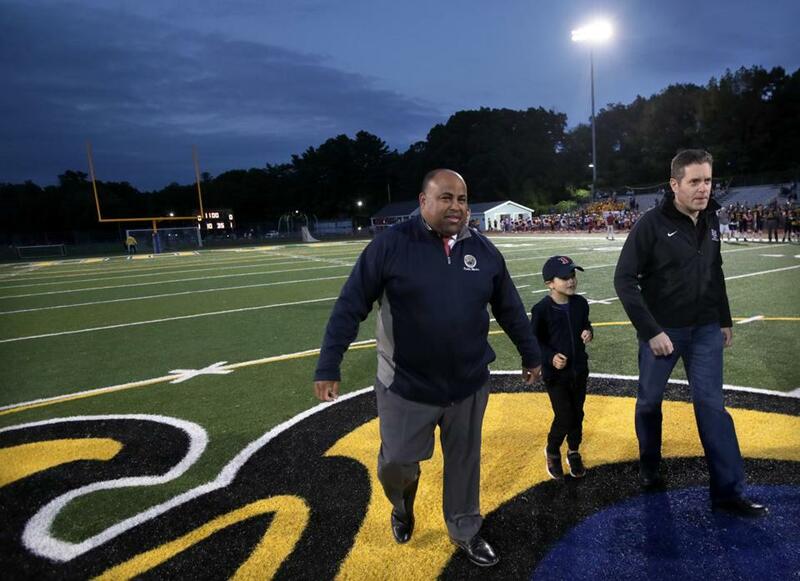 Two days later, Rivera attended the Andover vs. Lawrence high school football game in Andover, where he participated in a ceremonial coin toss with Barry Finegold, who is running to return to the town’s state Senate seat. Finegold recalled playing for Andover against Rivera and Lawrence some 30 years ago. On Friday, locals had printed out T-shirts marking the unity between the two communities, with labels of #lawrence- strong and #andoverstrong. At the game, an announcer asked for a moment of silence for Leonel Rondon, the Lawrence teenager who was killed. The Andover cheerleading team gave cupcakes and flowers to their counterparts from Lawrence. Known to be politically savvy, Rivera has defended the city against officials in President Trump’s administration who have scapegoated Lawrence, blaming its residents for a regional drug epidemic. And he has clashed with fellow Democrats, including a tiff earlier this year with Secretary of State William Galvin, a stalwart in the state party. He has a close relationship with Baker, the state’s Republican governor. Baker endorsed Rivera a year ago, and Rivera returned the favor, crossing party lines with an endorsement in April. Along the way, he said, he has always focused on residents’ needs. That’s why, he said, that he was the first to denounce Columbia Gas. And as state and emergency response officials work to restore gas by a Nov. 19 deadline imposed by Baker last week, he said he will look to hold the gas company — and fellow public officials — accountable.